What if a wealthy group, like a government or bank, decided to make Bitcoin worthless? How would they do it? And how much would it cost? Download Lexie’s Bitcoin ebook for free! Its proponents advertise Bitcoin as a decentralized network that cannot be controlled by anybody. Indeed, the cryptocurrency experiment now valued at more than US$70 billion is close to impossible to shut down—even its users don’t know how to turn it off. Some obvious things could stop Bitcoin, of course. But they often raise more complications and are themselves highly complicated. What could an organization do to make Bitcoin worthless? How does one turn off the internet? Apart from the high amount of cooperation this would require from private entities and governments, we don’t know how to shut down the internet. The network was in part designed to keep going even after a nuclear strike, and it does not have a kill switch by design. The internet is also itself highly resilient against attacks, and information would just route around each part that we turn off. Even if significant parts of the internet were shut off or damaged, Bitcoin’s bandwidth requirements (currently 1MB per ten minutes at a minimum) might be small enough to broadcast over radio waves, or the telephone system successfully. On top of that, would any organization really want to turn the internet off? The internet has many other uses, like sending cat photos. The economic damage from turning the internet off would be gigantic, and it very likely would even cost lives. The Bitcoin network is made up of individuals, groups, and organizations that run the Bitcoin software on their laptops, phones, and even Raspberry Pis. Some of these participants also run dedicated computer chips, called Bitcoin miners, to exchange electricity into Bitcoins. In a kind of digital lottery, those who make the network more secure by participating in it might get some Bitcoins. While some of these Bitcoin miners and node operators are highly visible, they’re not going to be interested in shutting down their systems voluntarily. It might be possible to seize or destroy some miners or node operators, but this will only make mining more profitable for those who operate secretly. As a response, Bitcoin mining will go underground, and nodes will hide behind VPNs and the Tor Network. As long as there is money to be made in Bitcoin mining, people will risk their freedom to take part. For example, Bitcoin mining remains attractive in Venezuela, where Bitcoin is illegal. If a state were to make Bitcoin illegal, it would become much harder for people to buy Bitcoin miners, exchange Bitcoins into paper money, or accept it as payments in a store. But as in the world of online drug markets (which are also, to some degree, driven by Bitcoin), people are very much willing to break the law for some profits, and the pseudonymous nature of Bitcoin will make it hard to track down its traders, owners, and users. The only guaranteed way to bring Bitcoin to a halt, and make it worthless is to participate in the network yourself and disrupt it from within. 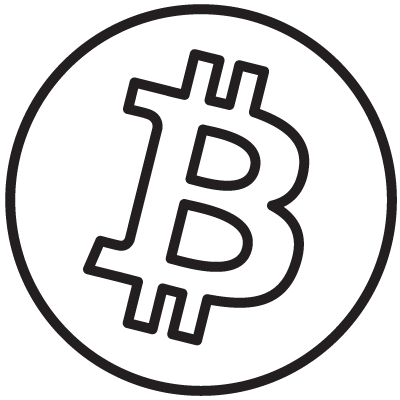 It’s part of Bitcoin’s anarchist nature that anybody can take part in the system anonymously, as long as they conform to the rules laid out in the Bitcoin software. For example, no rule states that blocks have to be filled with transactions to be valid, so a miner could theoretically just mine empty blocks. If all blocks were empty, nobody could transact on the Bitcoin Blockchain, and without the ability to send money, it would become worthless. With just 10% of the global Bitcoin computing power, an organization could significantly slow down the Bitcoin network. As the evil operation expands, it will eventually reach 50% of the total hashing power, allowing them to keep ALL the blocks empty. Bitcoin nodes accept the longest valid blockchain as valid, so if a group has more than 50% of the total hashing power, they can eventually create a chain longer than the other, honest miners, who would prefer to fill up their blocks with transactions. Currently, the Bitcoin network has a total hashing power of about 5,7 Exahash per second. That’s 5.7 x 10^18 Hashes every second. The latest model of a modern Bitcoin miner, like the Antminer S9, produces about 14 Terrahash per second, or 14 x 10^12. That means that there is roughly the equivalent of 400,000 Antminer S9s currently in operation in the entire market, which at US$1099 each would cost about US$447 million. To gain 50% of the total computing power, you would need to add the total of the world’s computing power to the network. As more miners join the network, it becomes more difficult for everyone to mine. If the price of Bitcoin does not rise, it will become unprofitable for others to mine, and you wouldn’t have to try as hard to take over 50% of the total network. You might also be able to build miners for cheaper than what they sell for online, but margins aren’t huge. An organization should expect to invest around US$350-400 million to get the attack started. An Antminer S9 consumes 1372 W, so 400,000 Antminers will consume 548,800 kW. Per hour, that’s 548,800 kWh (4,800 GWh per year). For perspective, the largest nuclear power station in the world, the Bruce Nuclear Power Station in Ontario, Canada, generates about 47,000 GWh in a single year. Bitcoin’s power consumption of 550 MW is about 1/10th of that of a city like San Francisco. So Bitcoin is still small enough that a group could source electricity for the Bitcoin attack on the open market. Assuming the attacker chose the cheapest power supply available, it would cost around US$0.04-0.06 per kWh, which means ~US$22,000-33,000 per hour for electricity, or roughly US$192 million per year—just to keep Bitcoin blocks empty. When will the ongoing power costs stop? As the other miners slowly disappear, the daily electricity consumption can decrease bit by bit. It’s unclear how long others would be willing to hold out—maybe a month is enough, but it could take a year or longer. In a further increase to expenditures, the attacker might even have to buy more miners and spend more on electricity to keep an attack going. An attacker would hope other miners would quickly slide into insolvency. It would be difficult to recoup money on the miners, though, as they can only mine Bitcoin (and Bitcoin is now dead), and will, therefore, have no resale value. Who could finance a Bitcoin attack? Bitcoin is a US$70 billion asset, with close to US$1 billion of trades worldwide in a single day. 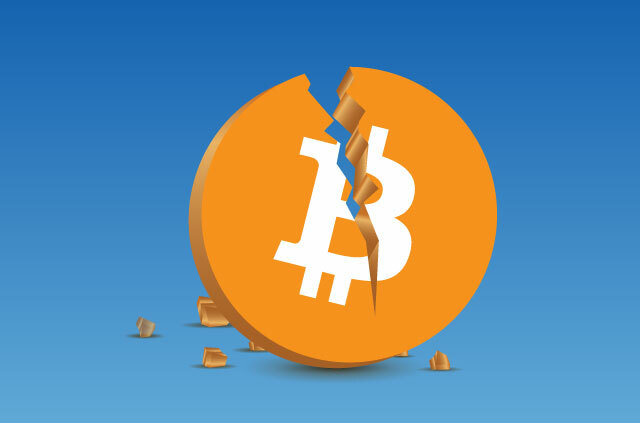 An organization could try to recoup some of the investments by shorting Bitcoin at the right moment, as it will inevitably lose much of its value in the first weeks of an attack. Big banks have a market cap of around US$340 billion (JP Morgan Chase), US$95 billion (Mitsubishi UFJ) or US$145 billion (HSBC). Between them, they might be able to raise enough money to finance a Bitcoin attack, although half a billion would be hard for them to swallow (and justify to their shareholders). However, if a government or party of governments wish to take down Bitcoin, it would likely be relatively easy for them to claim the funds from the taxpayer. And the total amount needed would probably be comparable to just a thousandth of the annual U.S. defense budget. How could a Bitcoin attack be stopped? There are a few things the Bitcoin community could do to stop an attack, and rescue Bitcoin. At first, they could require miners to include transactions in every block, to which an attacker could respond by adding meaningless transactions between their Bitcoins. Eventually, Bitcoin developers would change the proof-of-work algorithm of Bitcoin, and make attackers (and everyone else’s) Bitcoin miners worthless. Other miners would quickly take their place, and more investment would be needed to keep the attack going. The best way to make Bitcoin useless is to mine empty blocks and make it impossible for anybody to make transfers, which would make Bitcoins worthless. It would cost about US$350-400 million upfront to produce enough Bitcoin miners, and about 16 million per month to make Bitcoin useless. An attacker might be able to make some of that back by shorting the market, but even for a large bank, this will be difficult to raise. The community would have a few tricks up their sleeves to render an attack useless, which would require further investment to keep it going. Next articleExpressVPN for iOS 6.5.9 is available and it’s awesome! Mining empty blocks would not succeed in disrupting bitcoin since the bitcoin establishment would hard fork a version that would keep a block undiscovered if mempool was not empty. Such a fork would be uncontroversial and would happen very fast unlike the politically contentious block size forks. Bitcoin doesn’t need the Internet to operate. It could run over short wave radio and morse code although much slower and not for a sustained length of time. A scary prospect, but fairly unlikely (I hope!). An interesting read nevertheless. Crypto currency will be the force for most anonymizing services so will be under watch for sure. “And the total amount needed would probably be comparable to the annual U.S. defense budget.”? You’re out by a factor of 1000. A single F35 comes in at $94M, I’m sure they could cope with 4 or 5 fewer. Good spot, Alan! I’ve updated the blog.